Lovely meal, great service, we received free glasses of Prosecco to begin and complimentary biscottis, cream puffs and limoncellos at the end of our meal. So very nice. I GO with my girlfriend and we we're welcome. We got 2 glasses of prosecco Free, but we eat just a dessert. The experience was verry good. Loved everything about this restaurant: lots of extras, charming staff and inventive dishes. Lovely restaurant, we had the 5 course tasting menu with a glass of wine and the selection was great. Tasty and well presented. We were greeted with a glass of prosecco and given small pastry treats at the end. I would go back again to try the other menu choices too. Really tasteful food. Creative combination of flavours made this a great experience! Rapidly responding staff, and great service. Menues in English was also appreciated. 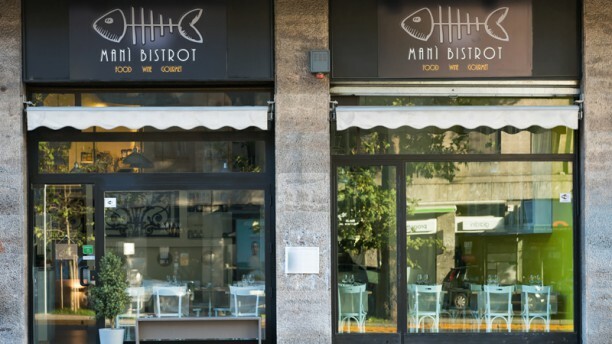 Un piccolo bistrot che propone pochi piatti con ingredienti classici ma cucinati e presentati in maniera innovativa. Food was good and the service is excellent. Lovely dinner in simple surroundings. Enjoyed the dishes and the wine list had a good choice. Fresh ingredients. A cozy restaurant. The crab risotto is great, and the duck is fantastic too. Would come back again! Sofisticated food and lovely atmosphere.Excellent hospitality. Thank you for special dinner. Great place with nice, cosy atmosphere. Stuff is excellent at their job. Cuisine are creative and joyful. Excellent services and food with reasonable price. Good location and easy to find. Overall it’s beyond my expectations.